On Thursday, the Ukrainian army expanded its attacks on the regions in eastern Ukraine controlled by pro-Russian separatists. The city of Donetsk, where a million people lived prior to the conflict, came under heavy fire. The Ukrainian army also deployed heavy artillery, likely including grenade and missile launchers, according to reports. Several residential districts were fired upon. For the first time, the city centre was attacked. The city’s famous polytechnic university was hit by grenades; two people were killed and twelve wounded. Der Spiegel reported heavy attacks on two shopping centres, Green Plaza and Planeta. “Three people lay on the crossroads, an elderly woman with both legs covered in blood, and opposite two younger men, one of whom was instantly killed,” the reporter described the scene. According to the regional administration, at least five civilians were killed in the fighting. In recent days, 74 civilians have been killed in the fighting in the Donetsk region, and a further 116 injured. The authorities in Luhansk reported 22 residents killed on Thursday within 24 hours. The city had come under sustained artillery fire for hours. Almost two weeks ago, the electricity and water supplies in the city collapsed. The Ukrainian armed forces are also apparently making it difficult for civilians to flee. Anton Gerashchenko, an advisor to the Ukrainian defence ministry, stated on his Facebook page on Thursday that army posts surrounding the rebel areas had been equipped with video cameras in order to identify every single refugee. In addition, soldiers also had to record the number plate of each vehicle and the name of the driver in a database. A spokeswoman for the separatists in Luhansk told Russian news agency Ria Novosti that Ukrainian snipers in the Izvarino border region were firing on vehicles with refugees driving towards Russia. The UN reported at the beginning of the week that 700,000 refugees have already fled from the Kiev regime’s military onslaught to Russia. According to Russian authorities, 80,000 of these have applied for asylum. It remains unclear whether the Ukrainian government will allow a humanitarian convoy from Russia over the border. The 287 lorries, which according to government sources are laden with 2,000 tons of foodstuffs, medication and generators, continued towards the Ukrainian border after a one-day halt in the Russian city of Voronezh. They are to supply the population of Luhansk with basic necessities. It is also unclear where the convoy will cross in to Ukraine. At first, Moscow and Kiev had agreed that the lorries would be inspected by Ukrainian customs officials in the city of Kharkiv before being brought to Luhansk by the Red Cross. However, the government in Kiev has repeatedly threatened to refuse to allow the convoy to enter the country. In addition, this option would mean the convoy would have to travel 300 kilometers (over 180 miles) inside Ukraine. There were fears of attacks on the lorries by far right-wing forces that have been deployed throughout the country by the Ukrainian regime against the separatists. The New York Times reported on Thursday that diplomats anticipate the trucks will use a border crossing at the Ukrainian city of Izvaryne. This section of the border is mainly controlled by the separatists. One of the newspaper’s reporters stated that the convoy had already turned off the main north-south highway and was now driving towards Izvaryne. According to an agency photographer, the lorries had since left the highway and were parked in a field near the Russian city of Donetsk. From there it is around 50 kilometers to the Ukrainian border. Unconfirmed reports last night alleged that two dozen Russian supply trucks, escorted by armored personnel carriers, had crossed the border into Ukraine. Chairman of the Ukrainian security and defence council (SNBO), Andrej Lysenko, stated that the convoy would be immediately halted if the Kiev government’s conditions for crossing the Ukrainian-Russian border were not met. “In such a case, the column of vehicles would be stopped. Their further passage would be prevented with all force,” Lysenko said. To divert attention from these threats, the Ukrainian government sent 15 lorries carrying aid to Luhansk. The Red Cross will take over control of the convoy in the town of Starobilsk and distribute the 240 tons of humanitarian supplies among the civilian population, a government official said. 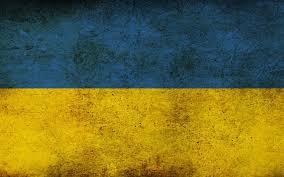 The Ukrainian parliament also adopted stronger measures against Russia. The Verkhovna Rada passed the second reading of a bill containing a list of 65 firms and 172 individuals from Russia and other countries against whom sanctions could be imposed by the Ukrainian President. “Our country will defend itself against the aggressor,” Prime Minister Arseniy Yatsenyuk wrote on Twitter. Until now, Yatsenyuk has kept the list secret. If the sanctions impact energy firms Gazprom and Tranzneft, this would be met with a swift end to the transportation of Russian gas. Representatives of the German government and European Union have warned the Ukrainian government over such a step for some time, because it could endanger the supply of gas to Europe. Russian President Vladimir Putin spoke out in very restrained terms about the conflict at a meeting of parliamentary deputies and Russian government representatives. The meeting took place on the Crimean peninsula, which was annexed by Russia in March in response to the fascist coup. He would “do everything that we can, in order to resolve this conflict as soon as possible,” Putin said. In spite of economic sanctions from the other side, he did not want to break “relations with our partners.” At the same time, it would be unacceptable if “we were treated contemptuously or in a moralising manner,” said the President. Putin also announced the establishment of an independent military command in Crimea. In addition, Russia also reported a minor military manoeuvre by its armed forces on the border of Estonia, a NATO member state, in which 2,600 soldiers and 20 helicopters participated.